Stylianos "Stelios" Kazantzidis was born on 29 August 1931 in Nea Ionia, in Athens, Greece. He was a prominent Greek singer and a leading singer of Greek popular music, or Laïkó, he collaborated with many of Greece's foremost composers. His life changed when the owner of a factory, which was located in the Perissos working district, gave him a guitar. He spent long hours playing music. He made his first public appearance at a Kifissia night club in the early 1950s and soon after, in July 1952, made his first studio recording at Columbia studios with a song entitled "I'm going for a swim" (Για μπάνιο πάω), written by Apostolos Kaldaras. It did not do well but he tried again, recording Giannis Papaioannou's "The suitcases" (Οι βαλίτσες) soon after. The song became the first of many hits and with his newfound popularity he began to make appearances in some of the biggest clubs of the time, like "Theios", "Mpertzeletos" and "Rosignol". With his career in full swing, Kazantzidis began to collaborate with some of the biggest names in Greek music, among them Manolis Chiotis, Manos Hadjidakis, Mikis Theodorakis, and Stavros Xarhakos. A hallmark in his career — and an event of great importance for the musical scene of post-war Greece — was his cooperation with composer Vassilis Tsitsanis. Starting in 1956 it resulted in several new songs as well as reinterpretions of Tsitsanis older songs. Kazantzidis, thus, sung and popularized such rebetiko classics as "Synnefiasmeni Kyriaki", "Bakse tsifliki" and "Ta Kavourakia". These songs, and many others, previously unknown to the wide public suddenly became cherished and sought-after. A few years later Kazantzidis started to develop his own musical style, a style with influences ranging from rebetika to Indian music. This new turn met with considerable success and became a template for later developments in Greek popular music. "Mantoubala" for example, a Kazantzidis original, was inspired by an Indian film he saw. This was the first record in Greece to sell over 100,000 copies, an amazing fact since the total population of the country (at the time) was about 6.5 million. Stelios Kazantzidis married Marinella on 7 May 1964 and they toured together in Germany and the United States. The two of them became a legendary duo. 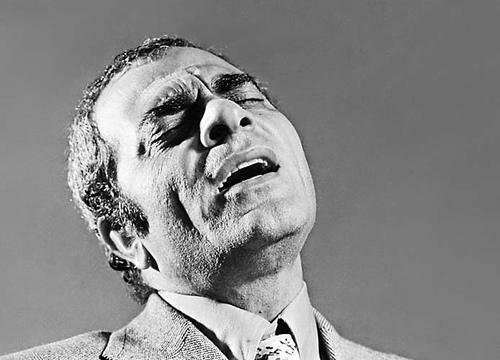 In 1965, Kazantzidis, whilst at the peak of his career, decided to stop appearing in nightclubs. For the next ten years, he only released studio albums. In September 1966 he divorced Marinella, and they recorded their last duets ("Mh Mou Lete Gia Authn", "Apopse Se Eho Stin Agalia Mou" and "I Kardia Tis Manas") for Philips the following year. Following Marinella's departure Litsa Diamandi became his primary female harmony vocalist in 1968. The album simply titled Stelios Kazantzidis (often referred to as the "balloon album", due to its cover artwork), was a transitional album. Marinella sang on some songs (including "Pame Tsarka"-an updated version of Tsitsanis' "Bakse Tsifliki") and Diamandi on others (e.g. the big hit "Efiye Efiye"). In 1968, Kazantzidis recorded "Nyhterides Ki Arahnes", written by newcomer Hristos Nikolopoulos; the song became an immediate success. The follow-up to this album, Ena Gramma had a number of hits, which included "Sto Trapezi Pou Tha Pino", "Pare T' Ahnaria", "Tha Kopso to Telefono" and "Kai Oi Andres Klene" (men cry too). Marinella had an "answer back" to that latter song, by releasing "Oi Andres Den Klene" (men don't cry). In 1973 he collaborated with songwriter Akis Panou and released an album with six songs, including one of his biggest hits, "I zoi mou oli", and in 1974 he recorded "Stin Anatoli", composed by Theodorakis. The next year he recorded another one of his biggest hits, "Iparho", penned by Pythagoras. Suddenly Kazantzidis rocked the Greek music industry again, when he announced his decision to stop recording. He accused his label of "colonial-like" contracts and took a leave from recording. In 1987 he recorded again for the first time after 12 years. "Ο Dromos Tis Epistrofis" (Ο Δρόμος της Επιστροφής) sold 200,000 copies and became a commercial success. He continued to release records occasionally for the rest of his life. Kazantidis, besides his work on folk music, also recorded four records with Pontic music alongside Chrysanthos Theodoridis, the greatest Pontic singer, songwriter, and lyricist.